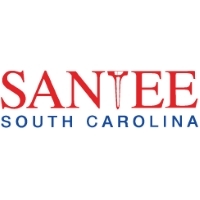 Below is a list of South Carolina golf courses and country clubs that offer weddings services, a banquet hall, etc. The following golf courses can be booked for your wedding. Barefoot Resort in Myrtle Beach, SC created the 35,000 square foot clubhouse with a low country feel but incorporated modest traditions, which gives members and guests a sense of "presence" and "greatness" that they have just arrived at someplace special. A large covered porch spans the entire clubhouse, offering comfortable teak rocking chairs, tables and chairs to enjoy meals and beckoning them to savor this outdoor paradise, with a sip of sweet tea and a view of the 18th hole of the Tom Fazio designed course. Barefoot Resort in Myrtle Beach, SC created the 35,000 square foot clubhouse with a low country feel but incorporated modest traditions. The building has a very smooth flow, with meticulous thought and care given to function in relationship to other social gathering spaces like the private members room. The clubhouse restaurant boasts panoramic views and has an outdoor patio overlooking the 18th hole of the Tom Fazio designed course and the adjacent lake. Ideal for post-golf gatherings, business meetings, weddings and special events for up to 400, you will find a staff devoted to customer service and superb meals from our executive chef, Dave Bennett. And with 20,000-square-feet, two banquet rooms, expert event planning and free consultation, the possibilities are nearly limitless. Encompassing 25,000 square feet, the Dye Clubhouse also incorporates South Carolina Lowcountry elements, including a wrap-around porch to enjoy the surrounding views, as well as antique furnishings, mahogany wood flooring, Oriental rugs and custom-made chandeliers. Stunning views of holes 9, 10 and 18 of the Dye Course greet you upon entrance to the Dye Clubhouse. If you're looking for the perfect location for your next event look no further than Fripp Island Golf & Beach Resort. Let our experienced staff cater to your every need while you gather the family for a special reunion, plan the perfect Holiday event or let us offer you the wedding of your dreams. Accommodating up to 200 guests with classic padded chairs to match your theme, the Wedding Pergola, and full service coordination for the Rehearsal and Ceremony. Whether your ceremony is held on- or off-site, the Lakefront Lanai is perfect for Cocktail Hour. Enjoy soft lighting from luminaries or garden torches, or gather around the Fire Pit as our staff serves Hors d'Oeuvres and drinks from an in-room custom Bar. coordinator to assist you with personalizing every aspect of your wedding, from concept to completion. Choose from a Plated Dinner, Dinner Stations or Buffet style menu, tailored to your exact tastes. 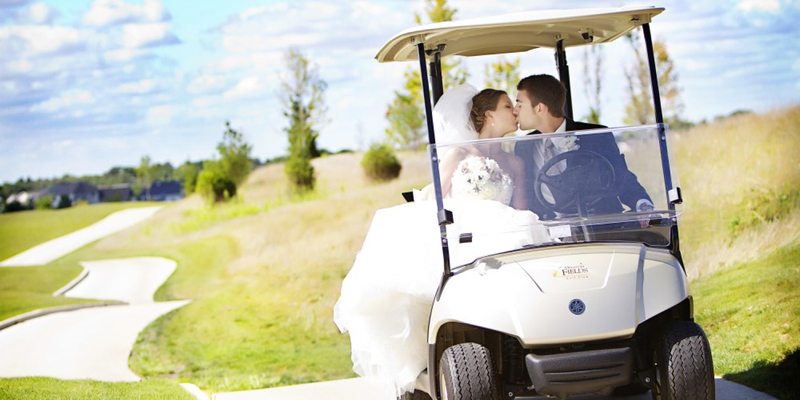 For the wedding weekend, guests may rent one of our Golf Cottages located a short golf cart ride away. Arrange a golf outing or massages for the bridal party to start off a beautiful event. We've created a most elegant and prestigious location for your special day. Sanctuary Golf Club is beautifully designed in the low-country plantation style of the region. As you enter the Sanctuary grounds, the drive is flanked by massive, moss-covered live oak trees that create the aura and specter of the old South on an island setting. You can exchange vows indoors, or in a beautiful outdoor ceremony set against a lush green backdrop and then celebrate your reception in the comfortable and elegant clubhouse with breathtaking views. Situated on over 100-acres of natural beauty, your guests will feel the comfort and the beauty of the location, dine on the finest regional cuisine and remember your special day for years to come. You'll love how smooth and effortless wedding planning can truly be due to the diligence of our staff and chefs. We pay attention to the details and follow-through according to your specifications so you can relax and enjoy your guests. Whether you're considering an intimate ceremony or lavish sunset reception, we're the ideal location. Fine lodging for you, your guests and family is available at several nearby establishments and ranges from economical to luxurious with all the appointments, at attractive group rates. When you're ready to start planning, we're ready to make all your dreams come true with an uncompromising eye to the details. The rich history of Parris Island coupled with breathtaking natural surroundings of The Legends provides an air of unprecedented romance. The stunning views of lush emerald greens, sparkling water and elegant Spanish Moss offer superb photo opportunities in the naturally striking setting. Add the unparalleled convenience of holding your wedding and reception within a few minutes of each other provides the ideal Lowcountry wedding. Parris Island not only has a nationally recognized golf course with an unmatched natural beauty, but also three locations ideal for your reception: The Lyceum, Traditions and Officer's Club. The grace of the reception areas are paired with a catering staff that will make your wedding deliciously memorable. Imagine 2200 lush acres of natural landscape on the northeast South Carolina coast with scenic views of waterways or the Atlantic Ocean surrounded by nature and championship golf. The Grande Dunes Resort pairs impressive venues with impeccable service to ensure the most unforgettable gatherings from elegant weddings and social celebrations to business meetings and corporate retreats. Our flexible venues can accommodate up to 300 guests and showcases incredible views of the Atlantic Ocean or pristine golf fairways. Our professional event-planning staff is here to help you make every detail into a memorable event! We are centrally located, just minutes from all of the activities that the area has to offer. Getting here is easy. The Myrtle Beach Airport is 15 miles away and offers over 30 flights daily. One visit to the Grande Dunes and you will discover that this resort is unlike any resort in the southeast! Challenging golf with friends. Socials under the live oaks overlooking the lowcountry's Intracoastal waters. Members & Guests of Stono Ferry are treated to the some of the finest club amenities the Charleston area has to offer. In addition to our beautiful golf course along the Intracoastal Waterway, Stono Ferry's clubhouse is impressive featuring screened-in dining, rooftop cocktail bar and outdoor cabana bar. The island-themed facilities makes for a soothing setting to recap the day's activities with family and friends. Oyster Reef Golf Club specializes in conducting memorable food & beverage events for your special occasion. Whether you're planning a wedding, hosting a class reunion, or throwing a birthday party, we are prepared to assist you. We have an array of suggested banquet menus or we will custom design a menu for you. Palmetto Hall Plantation Club is the ideal location for any event. In a world famous golf location, with first class amenities and outstanding service, Palmetto Hall Plantation Club not only meets, but exceeds your expectations. Call the Club today to plan your next golf outing, tournament, banquet or wedding. Shipyard Golf Club is dedicated to creating memorable food and beverage events for your special occasion. Whether you're planning a wedding, hosting a class reunion, or throwing a birthday party, we look forward to making your event truly memorable. We have an array of suggested banquet menus, or our experienced team will work directly with you to create a custom menu. As part of The Heritage Collection on Hilton Head Island, we work with our sister-clubs on the island to help ensure yours is an event to remember. Shipyard Golf Club has facilities ideal for hosting small gatherings, but for larger banquets, weddings and events, please select from one of our sister Heritage Collection properties. We can host your event at either Palmetto Hall Plantation Club or Port Royal Golf & Racquet Club.